$1 donation = 1 Vote. You can vote as many times as you would like! Encourage your friends and family to vote for your fur-baby too! To vote for your favorite dog, click on the button under their picture. It will take you to the donation page. The male canine and female canine with the most dollar’s raised during the voting period will be crowned “King and Queen” of the Carnival on August 26th! Top 4 Males and Top 4 Females will be announced on August 19th. Top 8 Finalists must be present at the K9 and Keiki Carnival on August 26th at 11am. King & Queen WINNERS will receive special prizes and be crowned at the Carnival!! All donations made from this contest will help our rescue dogs get a second chance at life and a fur-ever home. MS. PEPPERLICIOUS aka Pepper: 1.5 yr old Shih Tzu. My favorite thing besides eating yummy treats is hiding in tall grass or bushes, pop my head up and give a big smile! 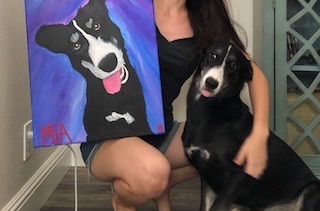 MIA: 1 yr old Husky/Lab mix. I'm from Oahu and my favorite thing to do is play fetch with my orange and blue ball but I have a very large personality so I like doing anything my mom or dad is doing. PEANUT BUTTER: 2 yr old hound mix. My favorite thing to do is chew up furniture and eat gourmet meats. COOKIE: 8 yr old Shih Tzu. I'm from Wahiawa and I love to eat, play with my furiends at the dog park, dress up, accessorize and model for pictures. MUFFIN: 5 yr old Shih Tzu/Mini-Schnauzer mix. I'm from Kaimuki and my favorite thing to do is Explore the outdoors and chase the birds. SELENA: 1 yr old Lab/Husky/German Shepard mix. I'm from Honolulu and my favorite thing to do is wrestle with my sister and antagonize the cat. SKY: 1.5 yr old . I live in Mililani and love to cuddle & play ball with my 3 human sisters. 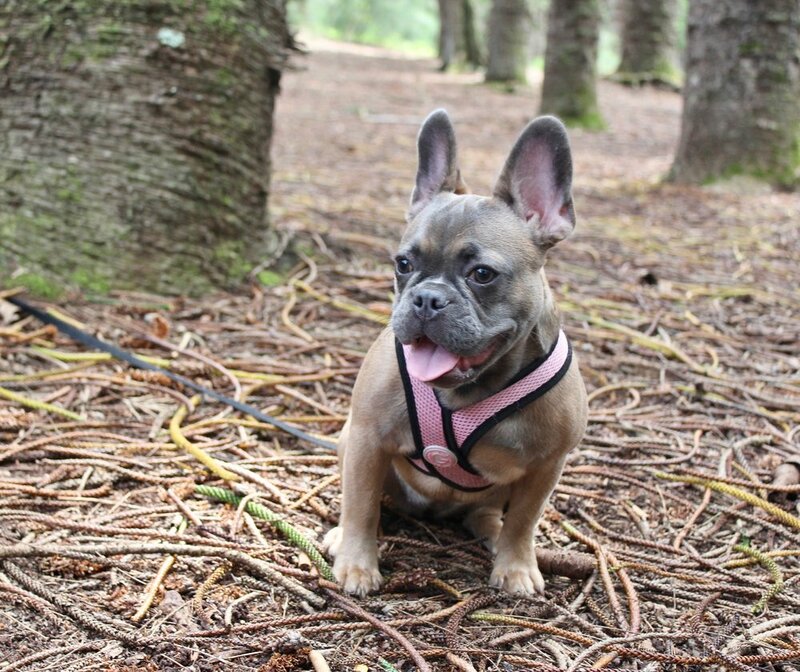 LEXI: 7 month old French bull dog. I live in Salt Lake and love cold showers and cuddling with my humans. VICTORIA ANN: 9 yr old Beagle-Dalmatian mix. I was born and raised in South Carolina, but now live in Pearl City. My favorite thing to do is fall into your arms to get kisses and chest rubs. Also, I like to ring around like a weasle with my back arched for treats. 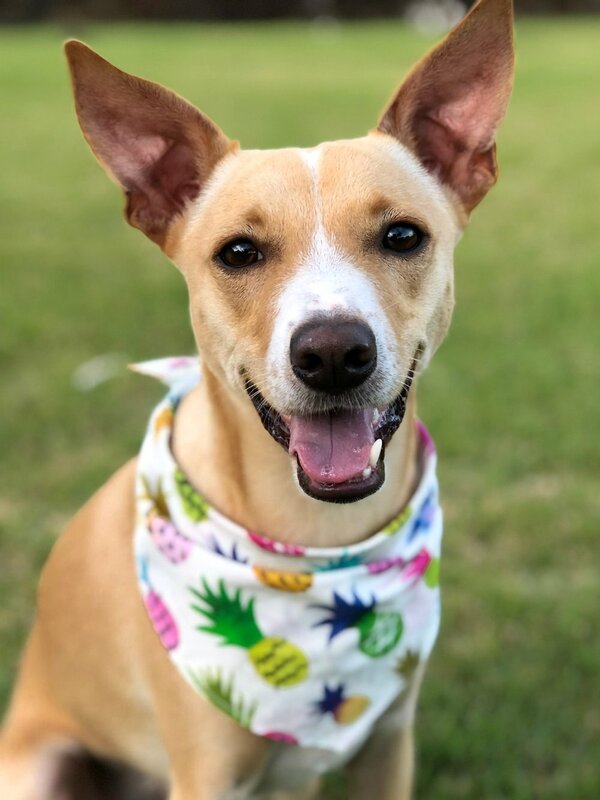 NALA BEAR: 2yr old Terrier mix, I'm from Honolulu and my favorite thing to do is to go on trips to the mailbox ( I hope my bark box is there) and I love to lick... EVERYTHING! MILO: 18 month old Rottweiler mix. I live in Mākaha and my favorite thing to do is snorkel with my family and hang out with my chickens. APOLLO: 1.5 yr old Terrier mix. I live in Mililani and I'm a true “Hawaiian dog,” because my favorite thing to do is sunbathe ☀️! 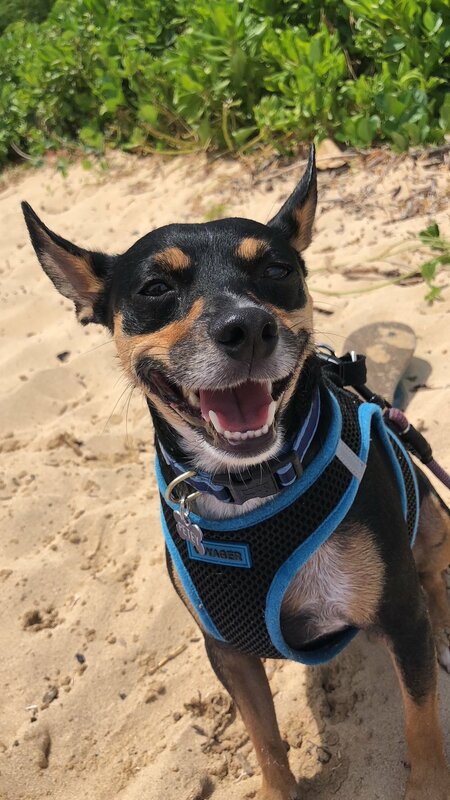 PETEY: 3 yr old MinPin Terrier mix. 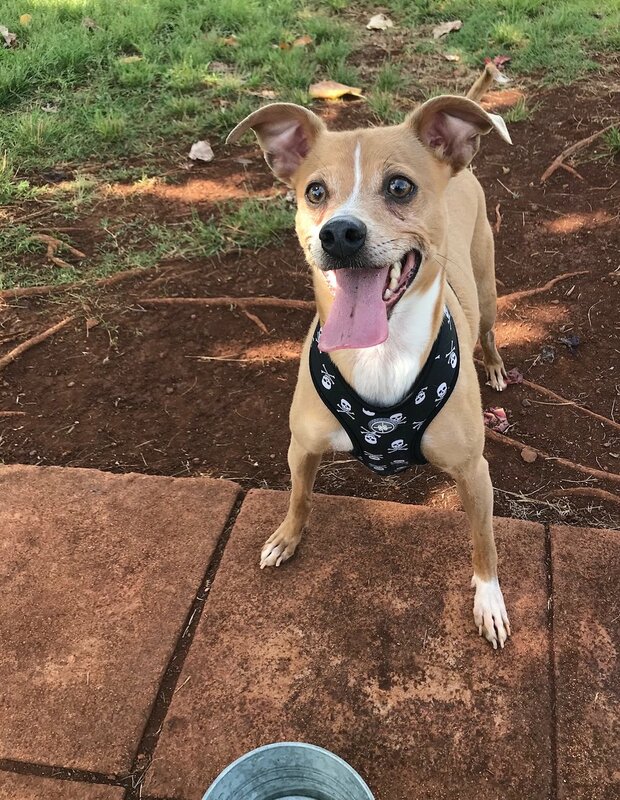 I'm from Kaimuki and my favorite thing to do is go to the beach and play fetch! HAMILTON: 5 yr old Toy Poodle. I'm from Mililani and my favorite thing to do is to follow my mommy around everywhere. DASH: 5 yr old Shih Tzu/Pomeranian/Papillon/White Haired/Chihuahua Terrier mix. I lives in Pearl City and my favorite thing to do is play with my fur-pals at ViPaws! REX: 4.5 month old Rhodesian Ridgeback mix. I live in Honolulu and my favorite things to do are sleep and play with my human brothers. TARZAN: 3yr old Chihuahua Terrier mix. I'm from Honolulu and my favorite hobby is to snuggle under the blanket and play soccer.